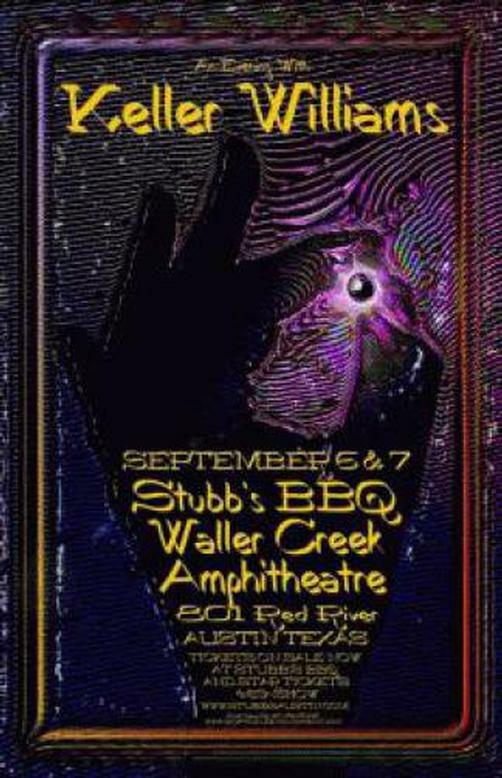 Original concert poster for Keller Williams at Stubb's BBQ Waller Creek Amphiththeatre, Austin, TX. 11x17 card stock. Art by Jeff Miller.